Howdy friends! It’s that time of year again: the sun is blazing every day, the sidewalks smell like trash well-done, and MTA delays, no longer nuisances, mean extra time spent in air conditioning (i.e. refuge). 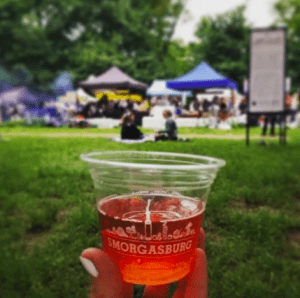 Oh, and also…SMORGASBURG IS BACK!!! We profiled vegan vendor Chickpea and Olive back in 2014 and were awed by their winsome, creative menu. Run by husband-and-wife team Daniel and Danielle, C&O is famous for their “phatty” beet burgers, BLTs made with hickory-smoked eggplant bacon, and sandwiches boasting pulled BBQ jackfruit. Correct us if we’re wrong, but we’re pretty sure this is what vegan dreams are made of. 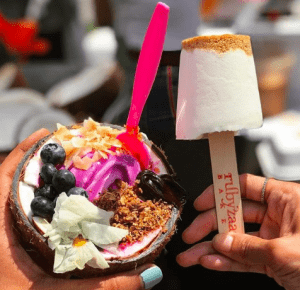 If you find yourself at Smorgasburg with a sweet tooth, we suggest visiting the inimitable Blue Marble, who we profiled in 2016. 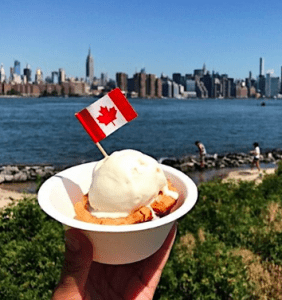 They celebrated Canada Day hard this year but, honestly, they celebrate every day hard by serving their mouthwatering, high-quality, sustainably sourced ice cream, which they make using organic dairy. Try any of their flavors because they’re all brilliant. 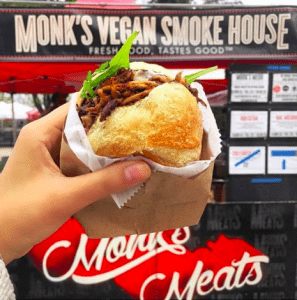 NYC boasts a plethora of Smorgasburg events, but if you happen to be traveling this summer and are worried about missing out, never fear. 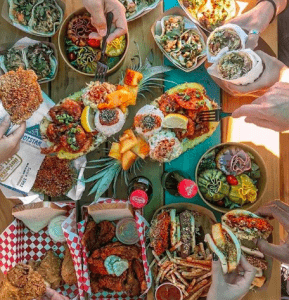 Smorgasburg LA is alive and kicking, as is Smorgasburg Osaka, and a few others. 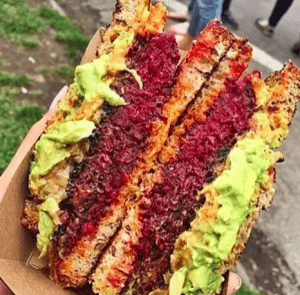 Whatever you do, just don’t miss it — Smorgasburg has been described by The New York Times as “The Woodstock of eating,” and we all know that everyone who was around and simply chose not to venture over to Yasgur’s farm in ‘69 has been regretting it ever since.